Islami Bank Bangladesh Limited is one of the most successful bank in Bangladesh.It is a sharia complaint bank which is doing its business activities by consideration of Islamic Sariah. They always try to ensure the all rules and regulations of Islamic Sariah. Emergence of IBBL has many sides for operating banking business in Bangladesh. IBBL influenced by Major Zia speech; he said ”The Islamic countries should develop a separate banking system of their own in order to facilitate their trade and commerce.”. It was one of the most attempts to found the Islami bank Bangladesh. Islami Bank Bangladesh Ltd is the pioneer of Islamic banking in Bangladesh. They stated the Islamic Banking at first time in Bangladesh. They introduced it and worked for developing the mind of clients of them for Islamic Sariah Banking. It started their journey in 30 March 1983. It is a joint venture public limited company which is listed by following all rules and regulations of company formation. 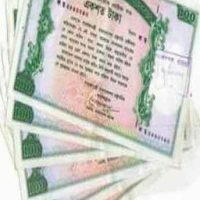 It is listed on Dhaka Stock Exchange and Chittagong Stock Exchange and the authorized capital for the both stock exchange is 20,000 Million and the paid up capital is 16,099.90 Million. There are 33,686 shareholders as per the report of 31st December 2015. Investment of Islami Bank Bangladesh limited came from the investors who have invested from different country. They collect investment for different Islamic Shariah minded people. The investors are form different countries. They also collected sponsor for its initial capital requirements. They collect bother local and international sources. They also made a joint venture with the sponsors and local and international investors. Objectives of this Bank’s Business is to facilitate the welfare oriented banking system and make sure the equality and justice to all level of peoples. Their aim to invest in those sectors which are growing and can make a good impact on social and country’s development of Bangladesh. This Bank is working for developing less developed sectors and community to uplift the socio economic condition of Bangladesh. It also helps the increase the rural banking system to help by giving financial support to the rural peoples of Bangladesh. This is aimed because they want to diversify the success and growth to all over the country. They wants to develop and establish a modern banking system and technologies which will make sure the soundless development of every sector and every side of Bangladesh by considering Islamic Principals. They motivate peoples to save in form of direct investment to those sectors where bank is investing. They are considering the deposits of depositors as an investment which will be invested in different sector of Bangladesh. IBBL also introduces direct investment in particular project. So that depositors will see the using policy of their deposited money to IBBL. In this issue, IBBL always try to transparent to the stakeholder, depositors, sponsors, and investors. IBBL is not only focused on the Islamic Banking or technological systems, they also aware about their customers need and wants. They always concerned about customers benefits and ensure best percentage of profit for their money. They collect investment and deposits from depositors and investors, and give that money to project owners and those peoples who really want to develop any kind of project. Especially they want to give preference that project which has a major and great impact on social and financial development of Bangladesh. When IBBL decided to select a project for investing they will investigate the availability and make a projection for the project. They always try to give their full support to make the loan receivers project. IBBL consults with them for developing their project and give guideline for every steps and when they needed. They are not only focused on the loan providing, but also aware about the success of the loan receivers and their projects. They give full customer support with a customer care centre which is available in 24/7 and the customer support centre number is 16259. Customers can get consult and get any kind of support from anywhere of the work in any time. IBBL believes that customers are the main part of their business. So they give full support to customer by maintaining Islamic Sariah. Commitment and trust of IBBL is helping them to grow with fast speed. They are committed to maintaining Shariah and Regulators, Shareholders, Customers, Employees, stakeholders, Environment and the community in which they are doing their financial activities. They always try to maintain their commitment to those parts of peoples. IBBL wants to make sure the commitment at first to serve all kind of customers. Their core values are the trust in Almighty Allah, maintaining Islamic Shariah, Honesty and justice to everyone, Welfare banking, Personal and employees development, Cope up with latest technologies and accurate and standard Accountability and decision making with considering commitment. For their trust and commitment their services are getting popular day by day. For that cause, IBBL is getting well known to all over the world. For their great works, they got lots of Prizes and Awards which come from National and International Awarding body. Some are Sounth Asian Federation of Accountants (SAFA) Awared, ICMAB Best Corporate Performance Award-2008, The Quality Recognition Award-2009, Best Bank for Corporate Social Responsibility for 2008 & 2009 etc. IBBL introduces lots of services and features with their products like SMS banking, SMS Alert for depositing and withdrawing money, Internet Banking from anywhere on world, a huge number of ATM Booth, Evening banking System and lots of branches to whole country also in rural area also. They always try to get in touch in highest easy way to highest number of peoples in whole country. At last but not the least, IBBL is committed to serve all kind of peoples by considering Islamic Shariah and their all commitment. They would like to give thanks to Almighty Allah for everything and wants to give full support to their customers in every time by their highest capable Human Resource Team who are expert in every sector.